What is an antonym? You’ll find the answer inside this book―it’s all about antonyms! 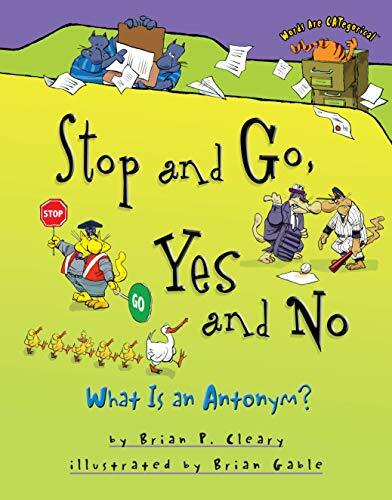 Author Brian P. Cleary and illustrator Brian Gable creatively clarify (not confuse) the concept of antonyms. Their clever (not foolish) rhymes and comical (not serious) illustrations combine to highlight key words. Each pair or group of antonyms is printed in color for easy identification.